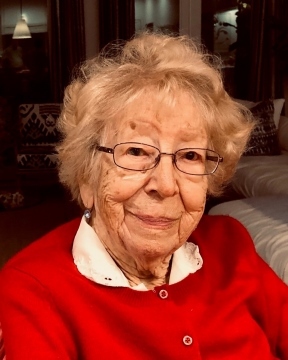 Frances G. Bentz, age 102, passed away January 14. She was born in Chicago in 1916. She married Harold Bentz in 1952, and moved to Miami. She was very much loved by the community she lived within, as well as her family. A very devout Catholic, she was a member of Epiphany Parish since 1965. She is survived by her Sister, Grace Taormina, her son Robert A. Bentz, Karen Bentz Daughter in Law, grandchildren Jessica Holguin, Leslie Murrell, and Bryce Bentz. Four great grandchildren and numerous nieces and nephews.